Enjoy some relaxing time on the water on this 3-hour sightseeing trip. 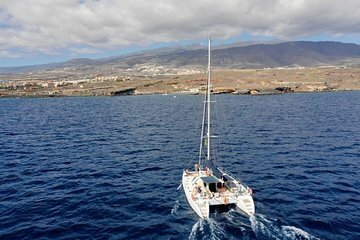 Set sail from the Tenerife port in search of pilot whales and bottlenose dolphins, both of which call the area home. Once anchored, take a swim, go snorkeling, or sunbathe on the spacious decks. Have lunch (included) before the sail back to port, keeping your eyes peeled for more marine life on the return.